In this essay the philosopher favors individual strength of will and independent, reasoned deliberation over the tendency to act on irrational impulses. He examines the ways in which life can be arranged to derive the highest degree of success. This book is the central work of Arthur Schopenhauer. The value of this work is much disputed. Some rank Schopenhauer as one of the most original and inspiring of all philosophers, while others see him as inconsistent and too pessimistic. 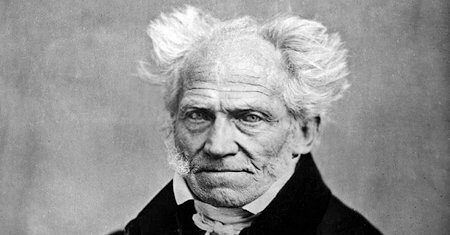 A disciple of Kant and a significant factor in shaping Nietzsche's thinking, Arthur Schopenhauer worked from the foundation that reality is but an extension of our own will, and that human life is characterized chiefly by misery. Collected here are six short essays, Religion - a Dialogue, A Few Words on Pantheism, On Books and Reading, Physiognomy, Psychological Observations, and, The Christian System, by the world renowned philosopher Arthur Schopenhauer. Schopenhauer believed in the supremacy of will over intellect, and he wrote extensively on the motivations behind actions. These six essays include observations on government, free will and fatalism, character, moral instinct, and ethics. Arthur Schopenhauer was a German philosopher known for his atheistic pessimism and philosophical clarity. His metaphysical analysis of will, his views on human motivation, and his aphoristic writing style influenced many well-known thinkers.